Welcome to November, the best month of the year to be in Beautiful Puerto Vallarta. Enjoy PV´s Festivals of the 57th Pez Vela Fishing tournament and the world famous Gourmet Festival, each happening at the beginning of the month. Then at month’s end brings the Thanks Giving holiday. Not exactly a Mexican holiday, Americans will have no trouble finding a wonderful Turkey Dinner to satisfy that craving for dressing. So get ready for November, it´s a party in progress. November also brings with it what is considered to be some of the best fishing Mexico has to offer in our world famous fishing grounds. The weather is perfect, the days are fresh and the fishing is incredible. 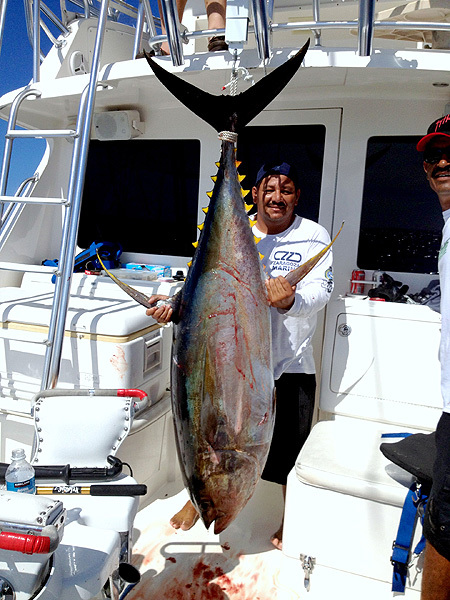 Marlin over 800 lbs, Yellowfin Tuna to 300 lbs, Sailfish are over abundant and Dorado are looking for your bait. You owe it to yourself to see Puerto Vallarta from the water one way or another. 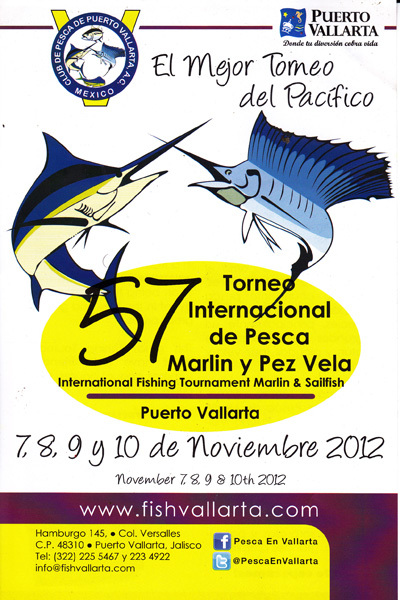 The 57th Pez Vela Tournament or in English, The 57th Sailfish Tournament all begins on November 7th and will continue through the 10th. Daily competition weigh- in for Sailfish, Marlin, Dorado and Yellowfin Tuna can be viewed free to the public in Marina Vallarta, (Bleacher seating). Turn in at the Whale Statue, take the first left, and head past Star Bucks straight to the weigh station´s free viewing area. It´s an event to be shared. Sponsored by the Club De Pesca of Puerto Vallarta. The Gourmet Festival from the 8th to the 18th is an International Success. With virtually all of the best restaurants in Puerto Vallarta participating you won´t be disappointed. Visiting Chefs are flown in from around the world and will for one night only you can have a special multi course dining experience, including wines in this once a year event. Enjoy a variety of Cuisine at a variety of prices. More information found inside the PV Mirror online. So get ready, November is here, ready or not!